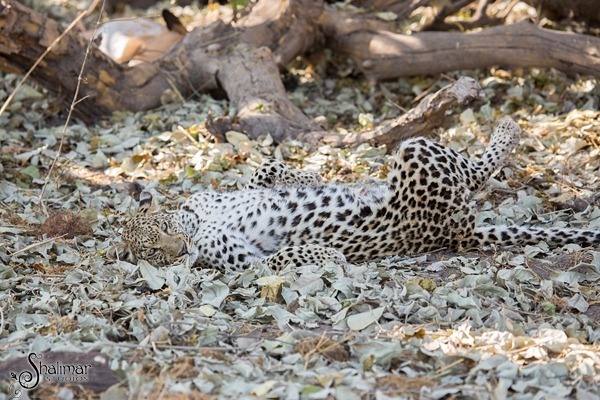 While in Botswana, we were staying at Chief’s Camp in the Moremi National Park. 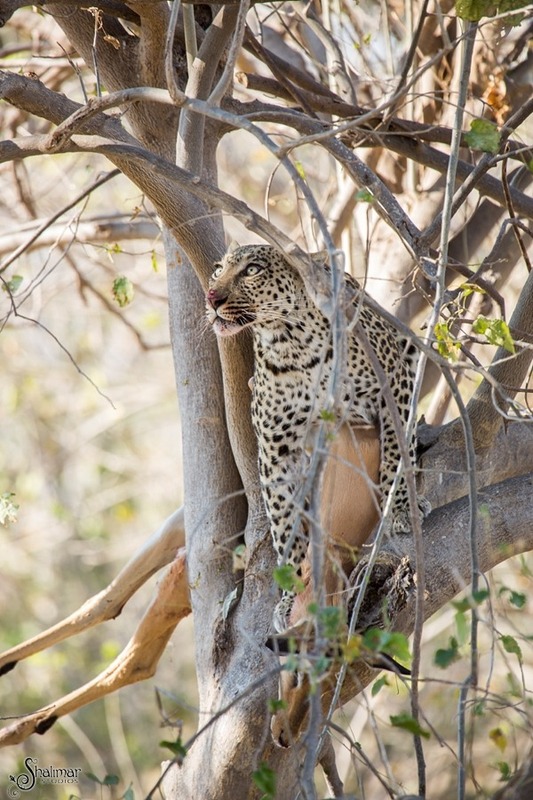 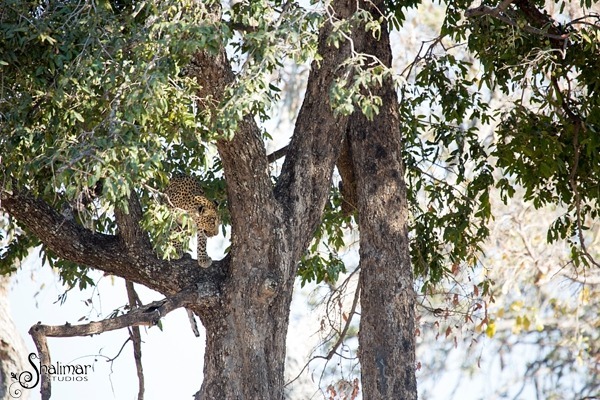 We were out on a morning game drive, and our ranger Tutalife spotted a leopard high up in a tree. 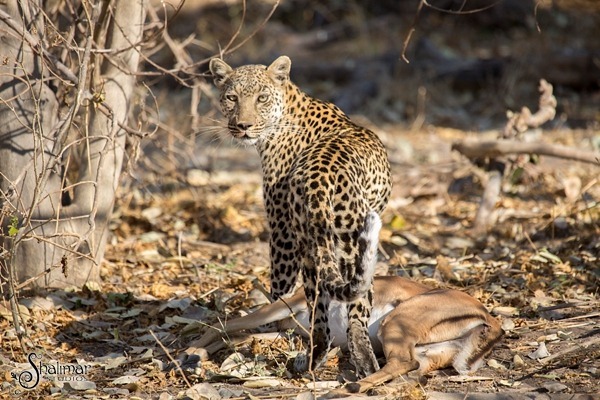 The leopard was intensely watching a group of impala grazing nearby, and as they slowly moved under the tree we knew we were about to witness a once in a lifetime event. 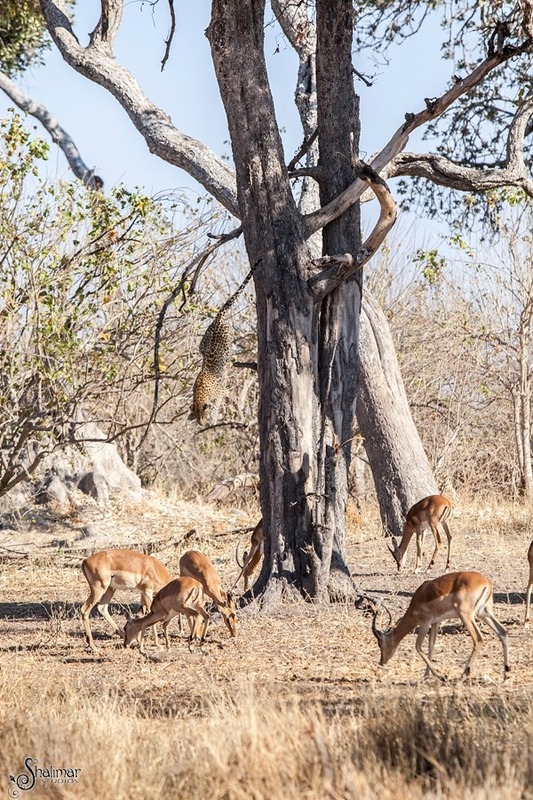 After about 10 minutes, we witnessed the leopard leap from the tree onto an unsuspecting impala below and before we knew it, the struggle had ended with a successful kill. 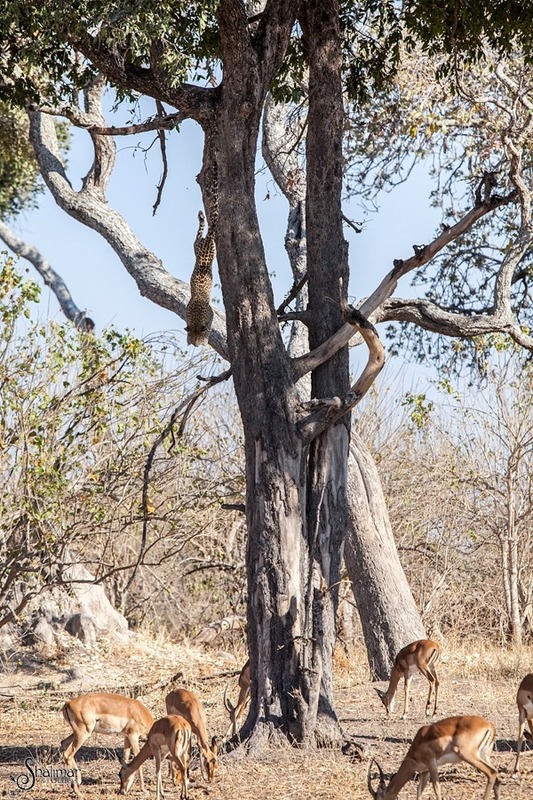 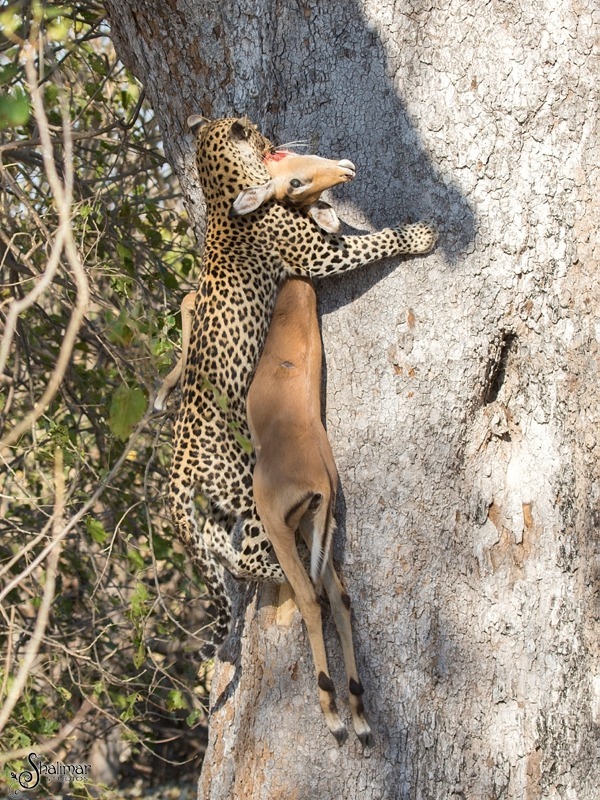 With the adrenalin pumping through our veins, we moved in closer and were able to capture amazing images of the leopard attempting to drag the carcass up a tree. 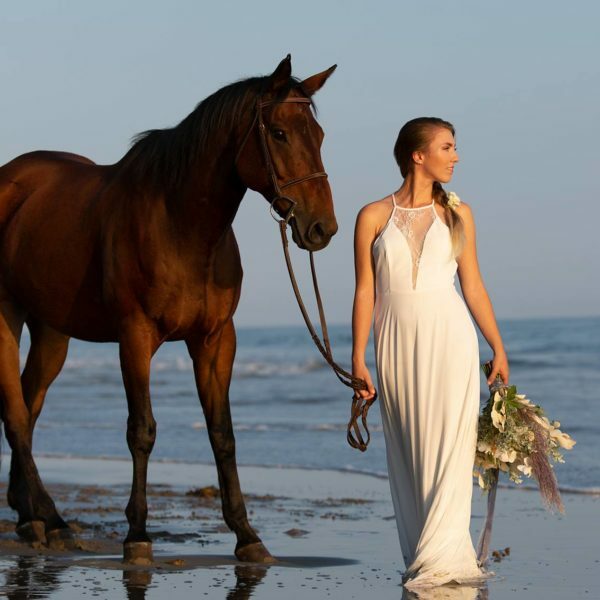 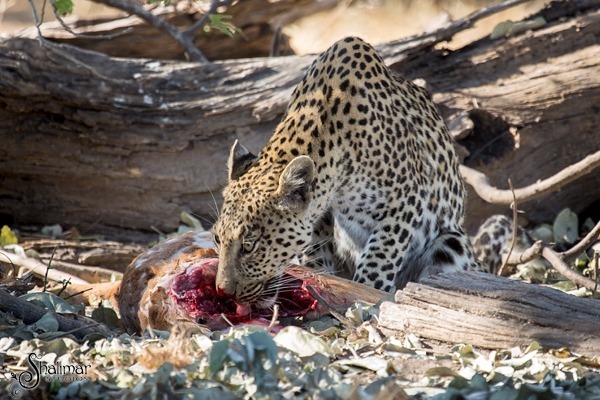 She failed, and elected to to eat the carcass on the ground instead. 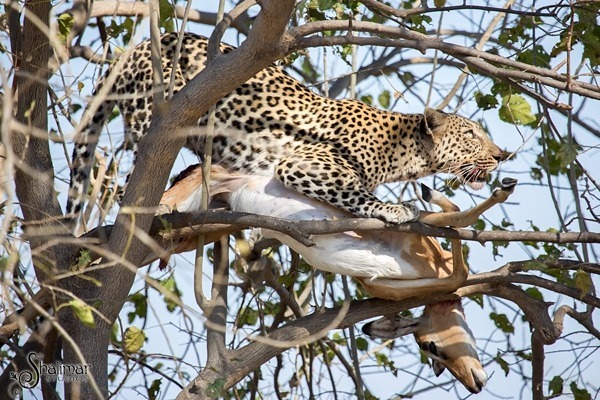 The scene continued to unfold in front of us, as she tore into the flesh of the impala, enjoying the spoils. 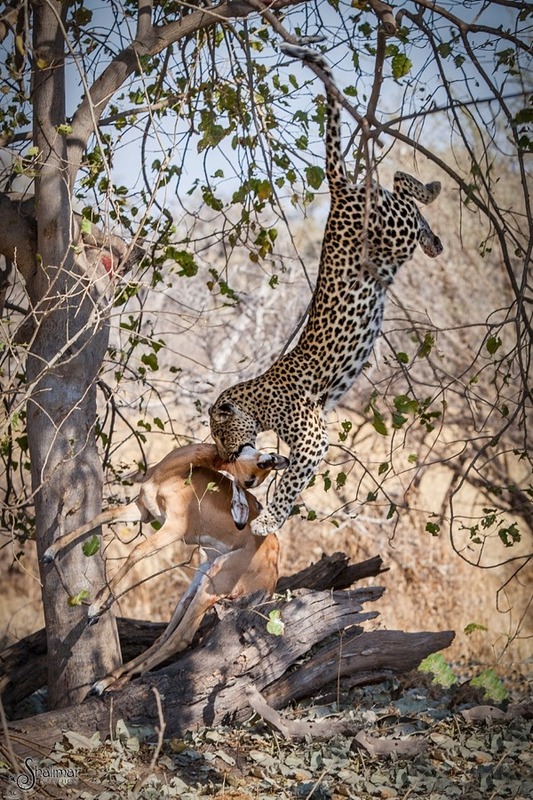 She then made a second attempt to drag the carcass up into a tree, but the weight of both the leopard and carcass were too heavy for the branches and both subsequently fell to the ground. 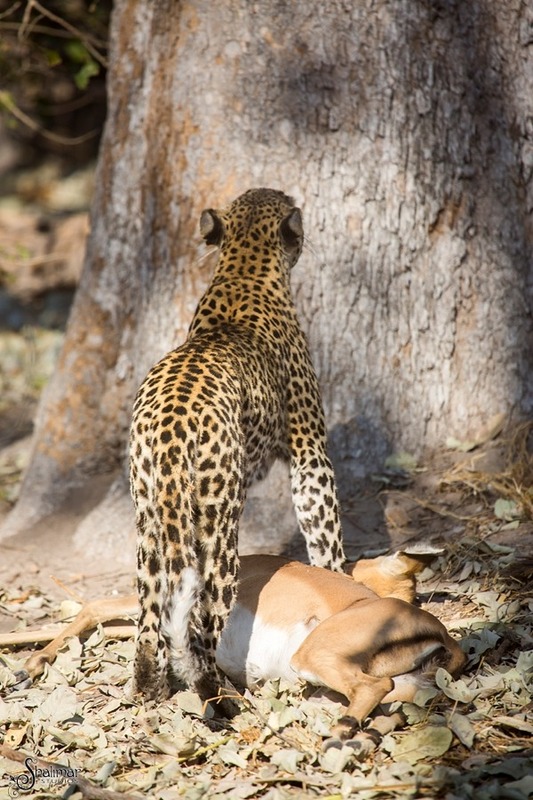 It was at that point that the leopard opted to hide the impala behind her and nap in the cool shade. 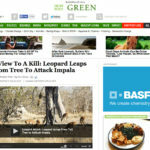 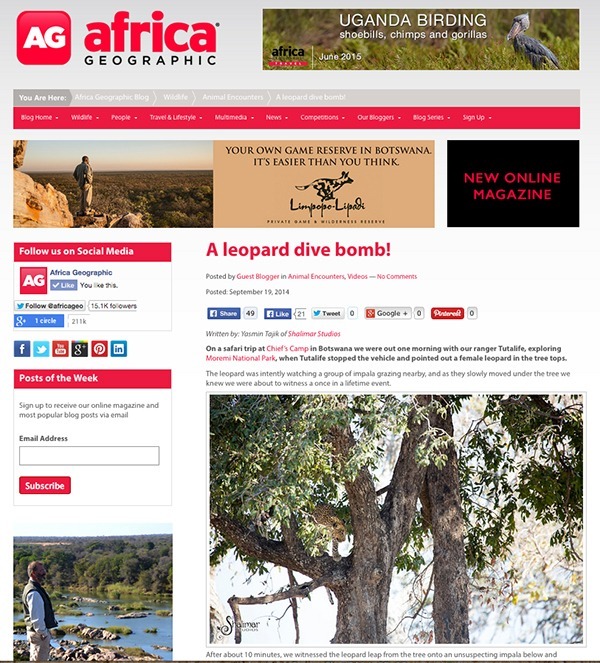 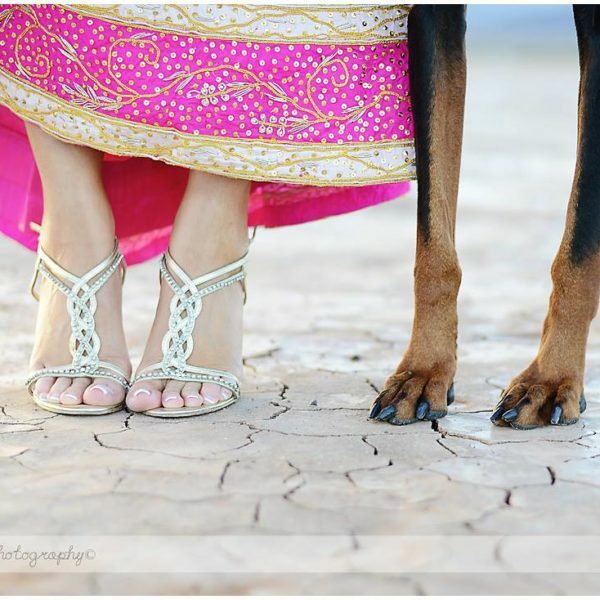 A big thank you to Africa Geographic for featuring this story on their blog. 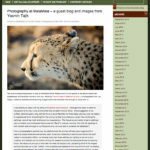 You can see a screen shot of that below, and read the entire blog feature here. 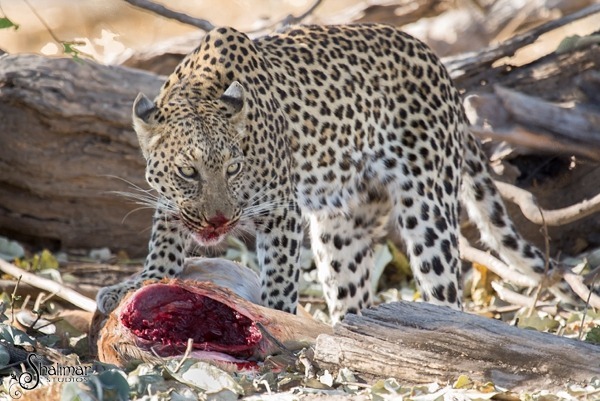 And don’t miss out on the intense video I’ve put together featuring both the video of the leopard kill, as well as more still images. 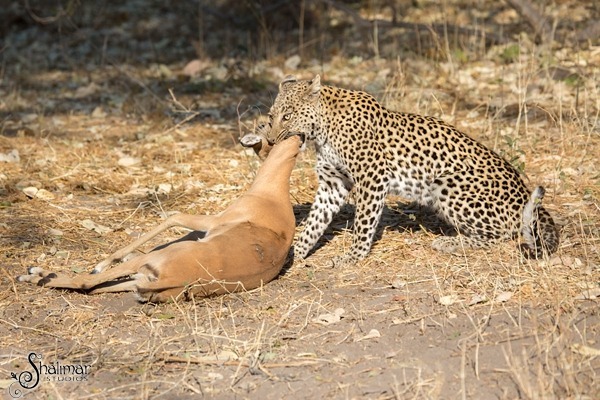 Watch and share!